ie-Style: Helpful Wardrobe "How To's"
I loved this pin because I like my belts to be used both at the hip & at the natural waist, which means that when I wear a belt around my natural waist, it typically has a long "tail" left. This pin certainly gives plenty of fun options for dealing with that "tail". 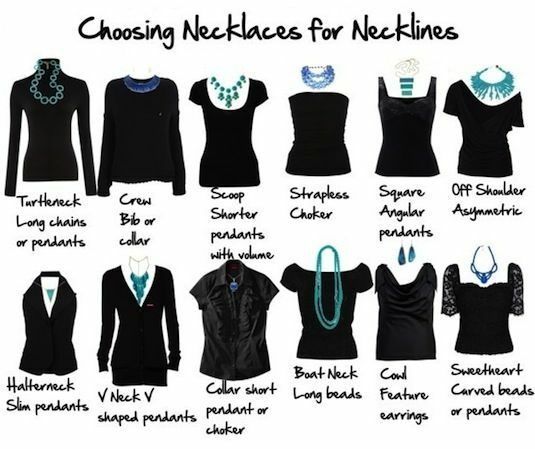 I thought this was a handy visual for helping choose the perfect necklace for the neckline of your top. Of course, some rules are made to be broken, but this is a nice quick reference if you need help making a choice for your neck-ware. 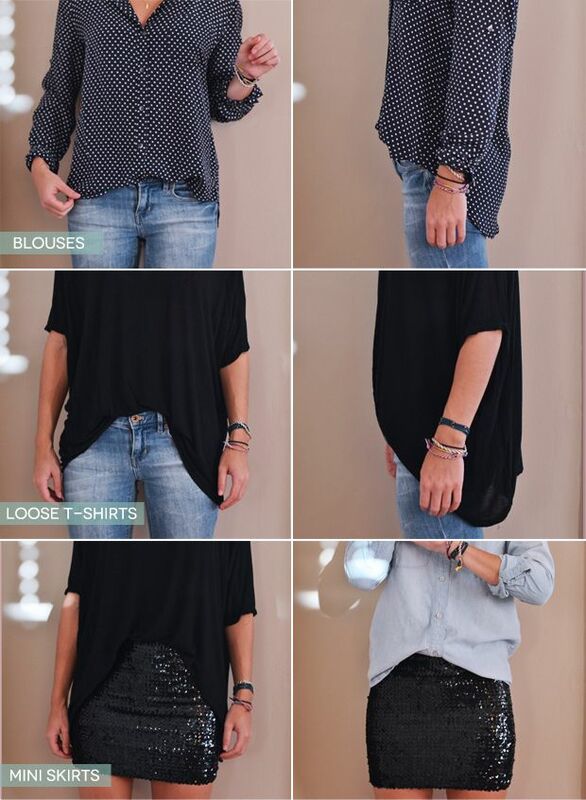 This is a great way to get more use out of your jeans. If you have a favorite pair of jeans, but they are a straight cut or boot cut, try this to tuck them into your tall boots. Since we're talking about tucking in pants, how about tips & tricks for tucking in those blouses, sweaters & tee's. 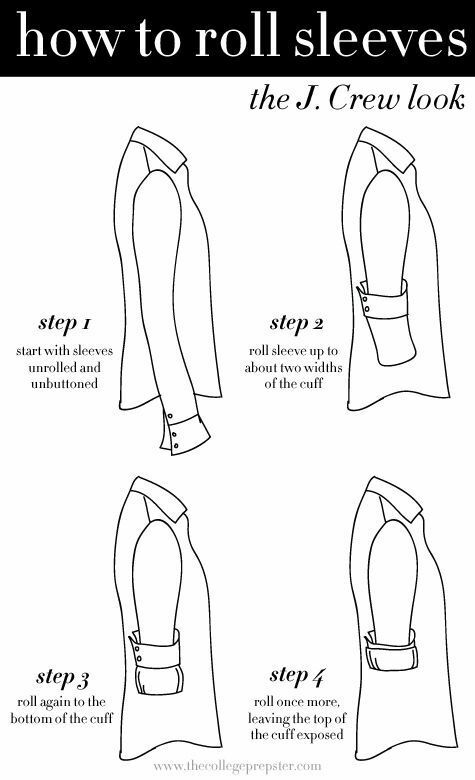 A great way to roll-up those cuffed sleeves. I would image we'll be able to get more & more use out of this technique as the weather starts warming up heading towards Spring. I hope some - if not all - of these are helpful to you. Thank you Pinterest for providing us guidance! I know exactly what you mean! I will be the one in my closet going through 1 or 2 of the belt tying options trying to commit them to memory. Lot's of great tying options on that pin, but I'll be lucky to master more than that...haha!! These are great finds! I haven't seen the belt one before and it's so helpful! I swear by the sleeve folding one! That method has changed my life! These were great - thanks for sharing! I really needed the belt one! Oh good, I'm glad to hear that sleeve fold really works! I'm excited to try it on some of my chiffon blouses...those sleeves just don't like to stay rolled!! Thanks for visiting!! I really like the belt pin! So many great ideas! This is a great post - I'm a big fan of those belt and necklace summaries! 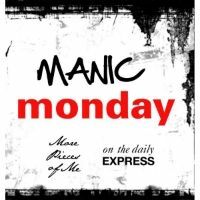 Thanks for linking up this week - hope to see you back next week. Thanks a lot for the this information, especially for the pictures with belts because I have some problems with them.